Last month our Me and Mine family portrait was our last “official” Me and Mine family picture with M as a 0yr old. 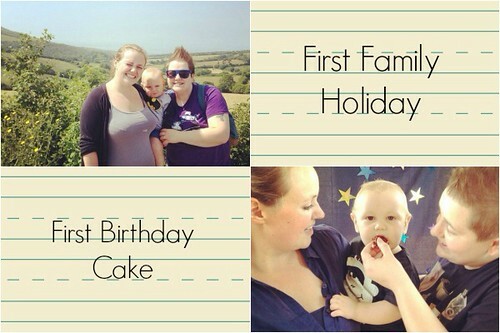 It’s been a very busy month, we went on our first family holiday and also planned a 1st birthday party, where M got to eat his first birthday cake. 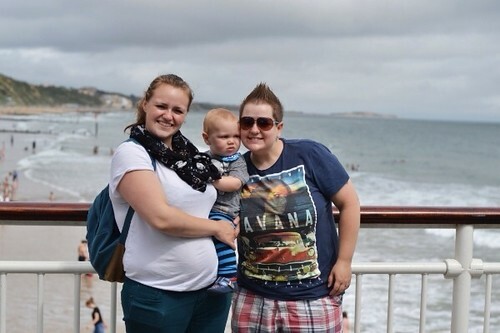 We decided to take our Family photo in Bournemouth after we visited the aquarium. M was really tired, he’d opened lots of presents, eaten lots of cake and had squealed at lots of fish. So please excuse his slightly grumpy look, we had just taken him out of his push chair to take the picture. 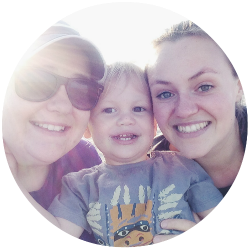 It was a fantastic day, where we made lots of memories and it’s great that we have a picture taken on the day, of us as a family of our 1 year old. After surviving being parents for a whole year. Ahh, that’s a lovely story. And so sweet that it’s your first official family photo with a one year old. What a gorgeous young man. They grow up so quickly. It’s at times like this I wish I had a pause life button. He’s utterly gorgeous even when grumpy, and it’s such a special photo, congratulations on the first year as a little family of three! You are such an adorable little family, all of you so gorgeous. All of your photos this month are amazing. I can’t pick a favourite. So many milestones too, what a great month for your family!